When seeking the best deal for business van insurance cover, the premiums available will depend on a number of factors. These will include which insurers are checked, the level of cover that is required and the perceived risk represented by the driver. Naturally, some jobs are considered to be more risky than others. It is important that the exact job title of the driver is noted, to avoid the insurance becoming invalid. Also, ensure the cover relates to the specific circumstances of the business and that it does not simply cover the driver for social, domestic and pleasure use. The law has been recently changed for the insurance industry; to reflect gender equality, companies are no longer permitted to offer cheaper premiums to women on the basis of their gender. Therefore, if the insured driver is male, it is likely that any quote will be reduced compared to last year’s prices. However, there are further steps that can be taken in order to shave even more from the final quote. 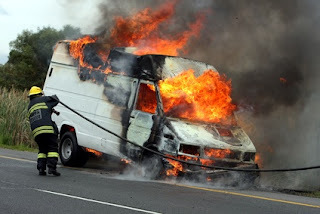 Safeguarding a van before beginning to search for insurance is a wise precaution. Often the premiums for vans are inflated, this is due to the fact that they are left outside overnight and are used to store valuable tools. Reduce the risk of theft as much as possible, and advise the insurance companies accordingly. If the van cannot be kept off the road or garaged when not in use, remove the contents and lock them away until they are needed. Do not assume that because a colleague received a good deal from a particular insurer, that it will be the case for every driver. Quotes change over time and are tailored to each specific set of circumstances. The only sure fire way to maximise the chance of finding a great deal is to shop around. It is possible to save time in this process by using price comparison websites; here, customers can trawl through many of the main van insurers on the market in one go. It is only necessary to input the details once instead of multiple times, and the quotes are instantly available. When the quotes are listed, begin looking through the cheapest offers, check that all the details are correct and that the policy will cover the vans specific uses. Next, be sure to visit the provider’s homepage, rather than relying on the information available on the comparison site. Although the van insurance market is not as competitive as car or home insurance, there is the possibility that some companies will be prepared to negotiate. Therefore, it is worth contacting individual insurers like AXA Business directly, to obtain a more beneficial offer. When comparing quotes it is important to check the small print and establish what exactly is covered, or excluded from the policy. Some add-ons can be investments for businesses, for example; cover for towing a trailer, younger drivers under 25 and a roadside rescue option, maybe necessary add-ons. Moreover, it is also good practice to check if the vans contents are covered. These extras save you time and hassle in the long run, but only if they are needed. If not, be sure to get them removed, as they may be bumping up the premium without serving any purpose. After finding and agreeing on the best offer, it can be tempting to save money in the short term by spreading the cost of the premium over a number of months. Many insurers offer this service, but they pass on the costs to their customers by adding interest. Therefore, it makes financial sense to pay in a lump sum and only pay the amount originally quoted. Finally, when the insurance policy is in place, only claim when necessary and have small issues rectified at a trusted garage. Contacting the insurer for a payout over small prangs and knocks will quickly wipe out no-claims bonuses, leaving the business liable for higher premiums.